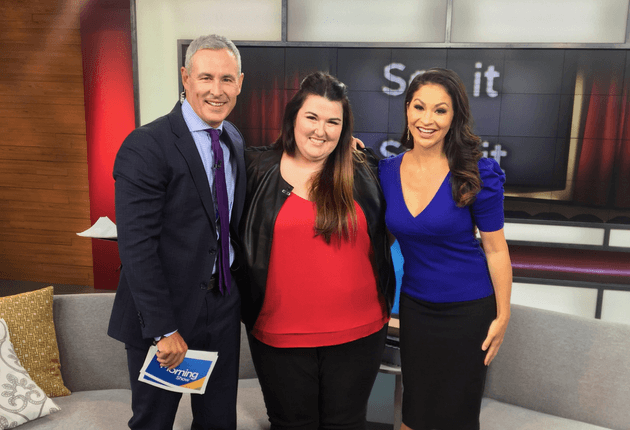 This morning on Global TV’s The Morning Show, Jess sat down with Jeff McArthur and Vicky Sparks to discuss the dos and don’ts of approaching someone in public. When is it appropriate to talk to a potential partner out in the open? Check out the video and her advice for different scenarios below. Do offer to buy a drink and reciprocate if you’re on the receiving end. BUT do not bring the drink in-hand. Make the offer and let the barista or bartender hand them the drink. Do approach with friends. When one person from a group walks over and if feels as though all of your friends are watching the interaction, it can feel awkward. If they’re with friends, bring some of yours along for the initial introduction, so you can all engage in friendly conversation. Don’t approach them if they’re on the phone or on their computer. People complain that technology detracts from social interaction, but if you go back 20 years, no one was even hanging out at coffee shops. It’s tech and the ability to work remotely that has taken us out of our homes and offices, so respect that some people are busy working. Do feel free to ask questions like “is this melon ripe?” and “how do you cook those artichokes?”. Friendly, non-flirtatious banter can help you to gauge interest. Do try an app like Happn that connects you with people with whom you regularly cross paths. Don’t follow them down the aisle if they’ve declined further engagement. It’s cool to try to strike up a conversation. And it’s also cool to decline. If they’ve excused themselves, back off. Don’t hang out in the personal products section. Even if they’re interested, it’s likely they’ll feel awkward if they’re holding a family-size pack of toilet paper. Do be friendly in general — say hello, smile and make eye contact with the staff and other people of all genders. If they see you chatting with others, you’ll seem more approachable and friendly — and less intimidating. Do make friends with the staff and other regulars; a facilitated introduction is almost always more successful. And don’t rush it and try to ask them out the first time you see them. The more familiar you become, the more likely they’ll be to respond positively; the mere exposure effect suggests that familiarity breeds attraction. Do choose your timing wisely — you might have more luck at the juice bar or when they’re heading in or out before and after their workout. Don’t approach someone wearing headphones. Don’t use advice as a pick-up line, as it makes it difficult to differentiate between safety and flirtation. If you don’t talk to someone today, there will be other opportunities, so you don’t have to let every person to whom you’re attracted know how you feel. You won’t be missing out on your soulmate if you respect someone’s right to be alone; there isn’t one person out there with whom you’re meant to be.